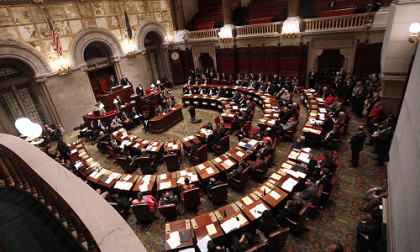 The New York State Senate passed an online-poker bill by a surprising 53-5 margin on Tuesday, marking the first time that such a measure has passed a full legislative body’s vote in the state. However, despite the overwhelming favor shown the bill, its larger fate remains unclear after its companion measure in the state’s Assembly was set aside without a vote. The mismatched outcomes for these online-poker bills in New York don’t mean the end for such proposals, even in the near term. As noted in public comments offered by Poker Players Alliance [PPA] officials, online poker legislation in New York could still move forward as a component within the state’s near-future omnibus spending package. As a standalone proposal, however, New York’s chances for regulated intrastate online poker appear quelled for the short term. The good news came on the 53-5 Senate vote on State Sen. John Bonacic’s S5302 measure, which represents one half of the legislative action needed to put such a bill on the desk of New York Governor Andrew Cuomo for a possible signing into law. It was the other half of the equation that didn’t add up on Tuesday. Though the company Assembly measure was also up for a vote, word came from that bill’s primary sponsor, NY State Rep. Gary Pretlow, that the online-poker measure was “dead” in that chamber. Pretlow’s bill was officially called on Tuesday, but then immediately “laid aside,” for possible consideration at a later date. As observers noted, that’s still better than having been voted on and defeated, which is why hopes in certain quarters remain high that good online-poker news will emerge from New York, and soon. Then there was the Poker Players Alliance, which has worked closely with Sen. Bonacic and other New York lawmakers to promote online-poker legislation in the state, even to the extent of tying consideration of the activity to similar consideration still being given to DFS (daily fantasy sports), an ongoing hot-button topic in Albany. 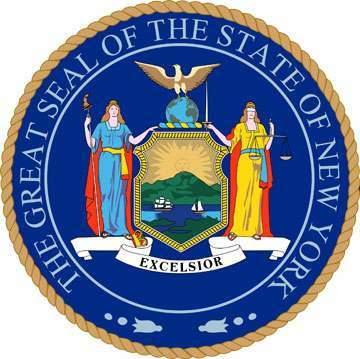 The PPA, which claims 40,000 members in New York, also congratulated the NY Senate for passing the bill in a brief statement, then urged the state’s lawmakers to find an alternate path forward for online poker in New York before the current legislative session ends on Thursday. The PPA also announced a last-ditch effort for interested partied to contact NY legislators, including Governor Cuomo and key NY State Assembly members who could still act to move an online poker bill. The PPA has even set up an action page, hoping interested parties will take a few moments on Wednesday to take part in the last-ditch push. If it happens, if it’s not too little or too late, then the likeliest path forward is for the online-poker language to be grafted into the Assembly’s version of the state’s omnibus spending package. That bill is likely the last order of business the Assembly will conduct this session, and it’s the wayward home of many measures that don’t have the legs to move through New York’s bill-approving process on their own. Still, it takes a concerted effort to get something included there, and whether Rep. Pretlow has the desire and whether a majority of the state’s Assemblymen will approve such a move is unknown. It’s been a week of promise for state-level online poker bills in the US. Eventually one or more US states will join the first three — Nevada, Delaware and New Jersey — in officially legalizing and regulating the online game.